Pomeranians tend to be stubborn. 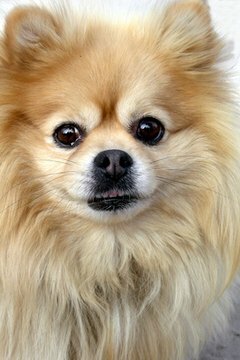 Pomeranians are small but lively and intelligent dogs who can thrive in a variety of settings, ranging from small apartments to large estates. While every dog is an individual and environment dramatically affects a dog's behavior, the breed does have some distinct behavior problems that owners can avoid with proper training. Pomeranians have a strong stubborn streak, and this means it can take considerably longer to train them than it does to train some other breeds. House training in particular can be challenging. These dogs thrive with consistent, reward-based training methods. Spend time every day training your dog, and avoid inadvertently rewarding bad behavior by, for example, laughing when your dog chews up your couch. Avoid punishing your dog, which can cause fear and increase problem behaviors. Pomeranians tend to be suspicious around strangers, and their small size makes large people and animals especially intimidating to them. Fear can turn to aggression quickly, and you should not interpret your dog's fear as a cute, endearing behavior. Because pomeranians are so small, owners often underestimate the severity of aggression. Proper socialization -- particularly during the first 16 weeks of life -- is key for preventing both fear and aggression. 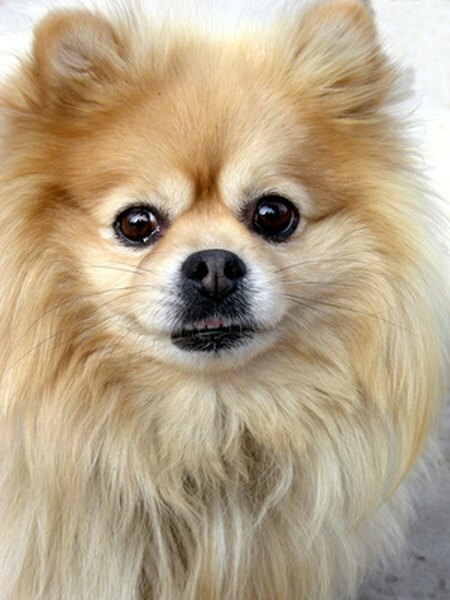 The breed has a strong reputation for being demanding of its owners, and pomeranians are particularly likely to be possessive of toys and food. You should train your pomeranian by putting your hand in her bowl and playing toy exchange games with her when she is a puppy. This dramatically decreases the likelihood of territorial behavior in adulthood. Pomeranians are notoriously yappy dogs, particularly when they're not socialized to strangers and loud noises. Put your dog in a crate when she becomes excessively loud and reward her for calm, quiet behavior when you have visitors. Never use shock collars, which can injure these fragile dogs. Instead, focus on using reward-based methods to teach your dog a "quiet" command by giving her treats when she remains quiet. Can Johanni Cichlids Be Kept With Juli Catfish?